Aqua shields (Honda specific) / Trog Trax (Harley Davidson specific) and fender bras can be added to your trike at any time, either during the triking process or after. The fender bras protect your fenders from stones being thrown up and damaging the paint. The Aqua Shields /Trog Trax protect your feet from wet roads, and they are strong enough to stand on. 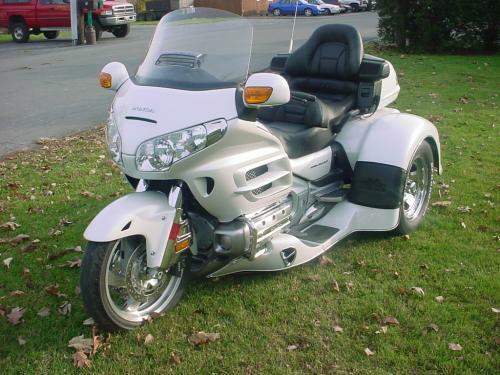 Motortrike is the only trike manufacturer who reinforce these with steel framing.